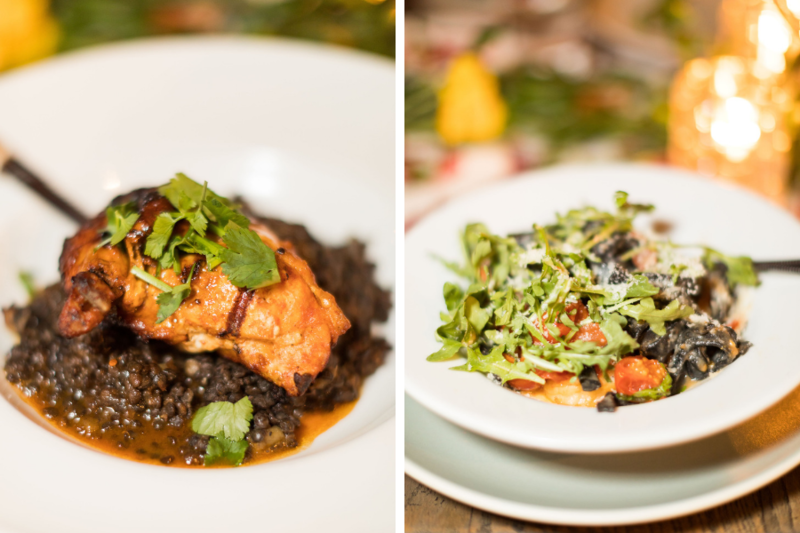 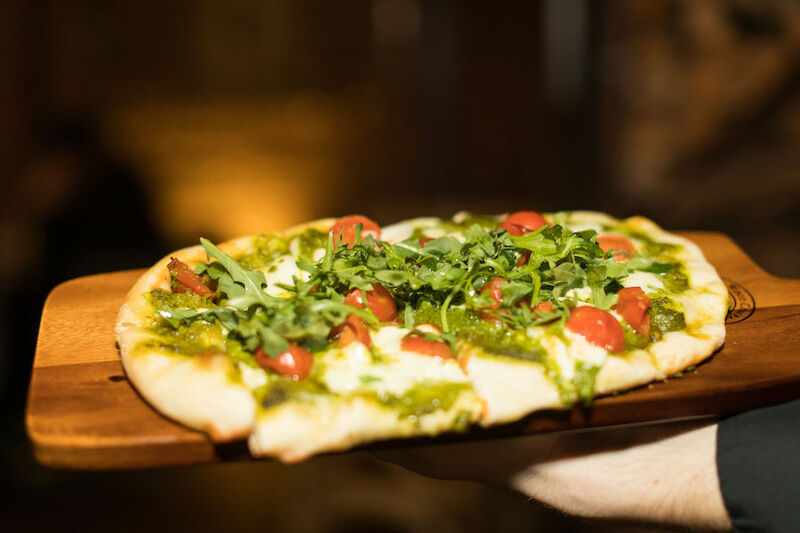 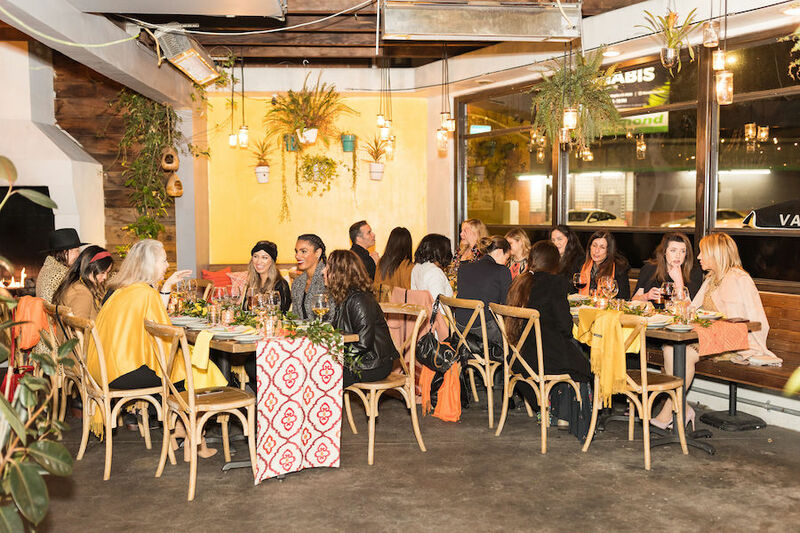 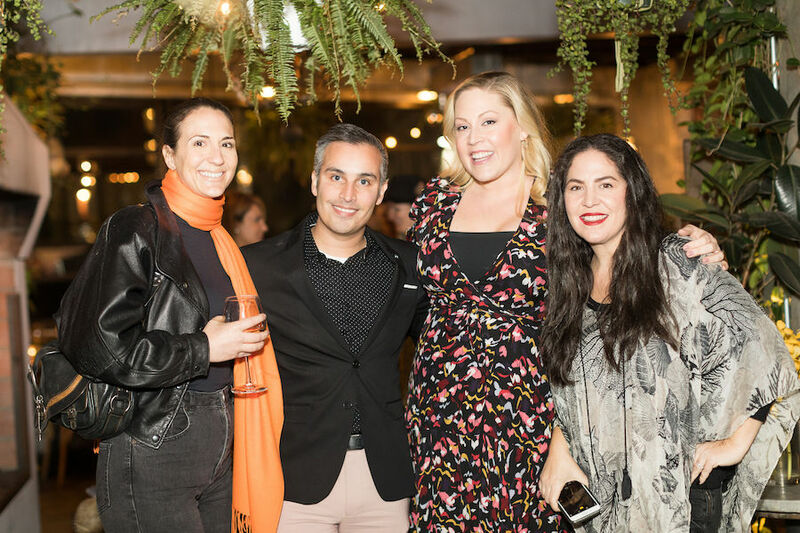 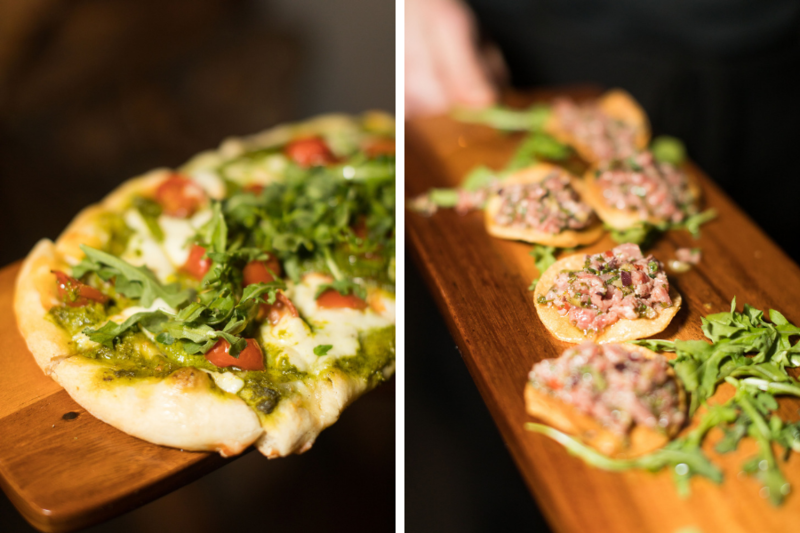 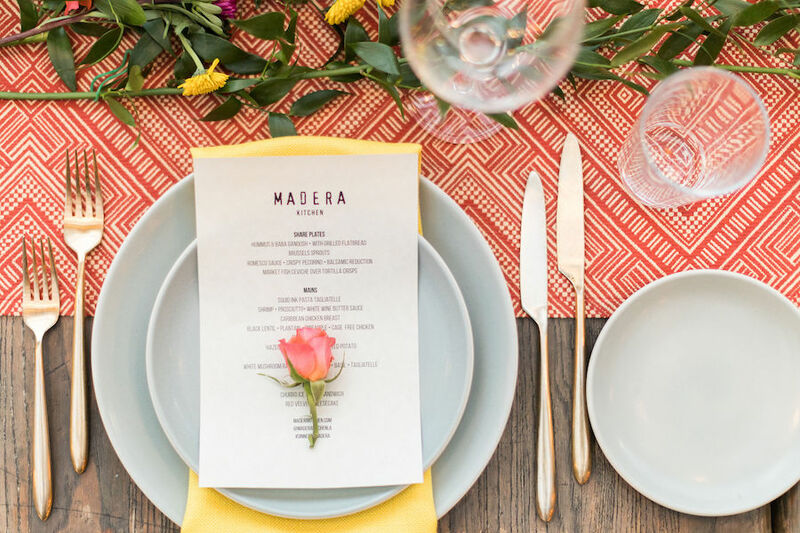 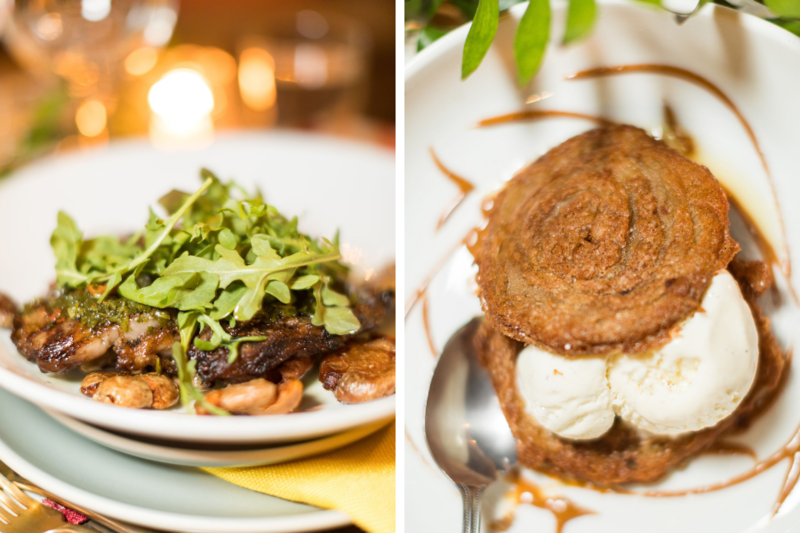 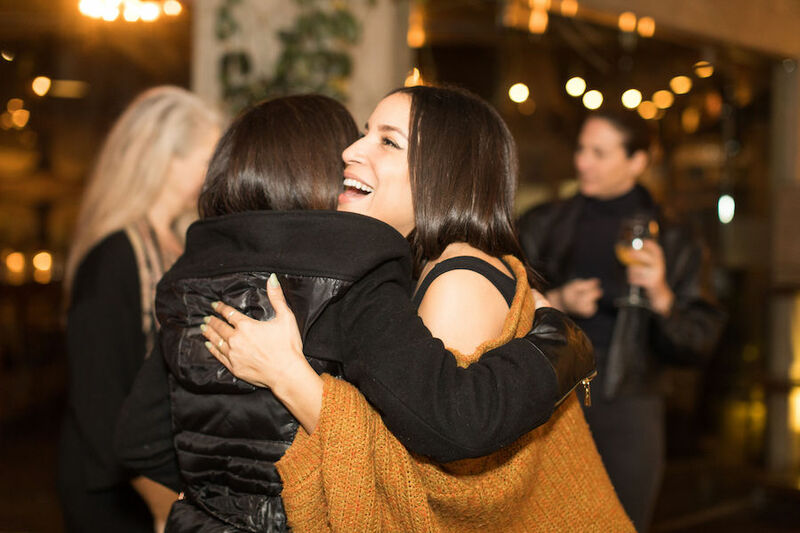 This February, we had the pleasure of hosting a small group of wedding industry professionals for an intimate dinner at Madera Kitchen to showcase the endless possibilities our turnkey venue has to offer for weddings and events. 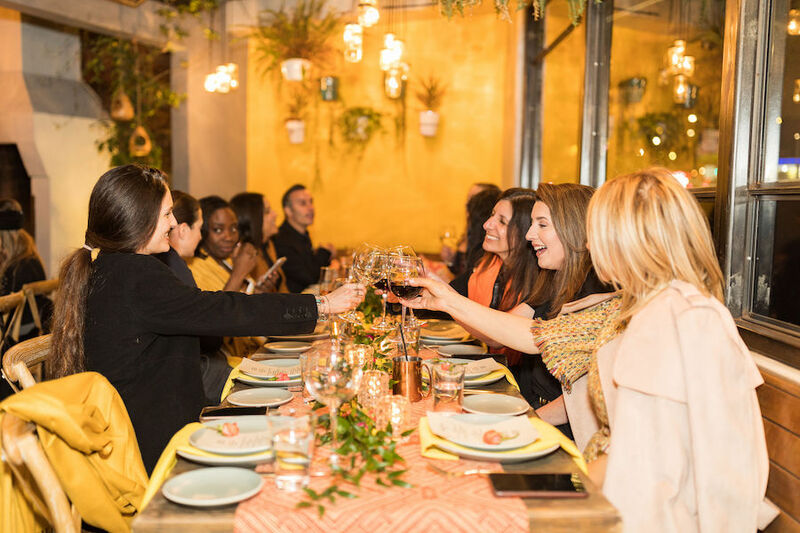 Good company, great food, and a beautiful setting are the perfect combination for a great time which is exactly what we had! 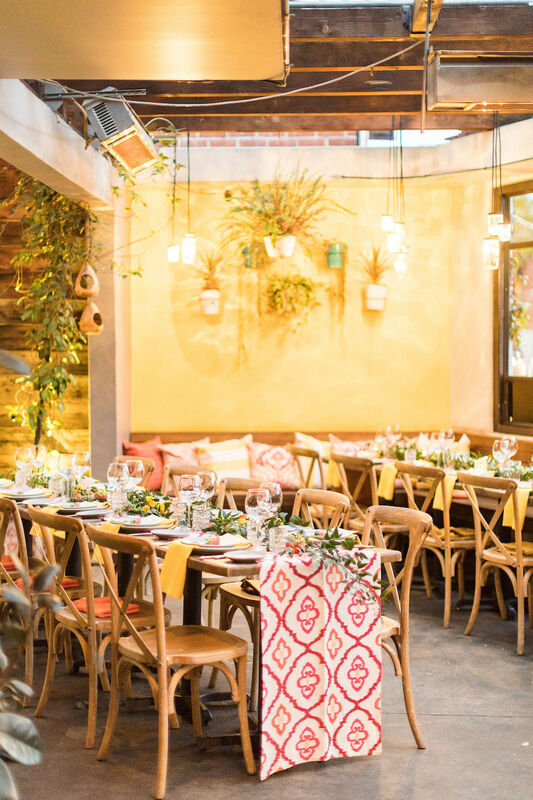 Our guests were hosted on the Franklin Patio where the roaring fireplace added warmth and a gorgeous glow to the intimate dining space. 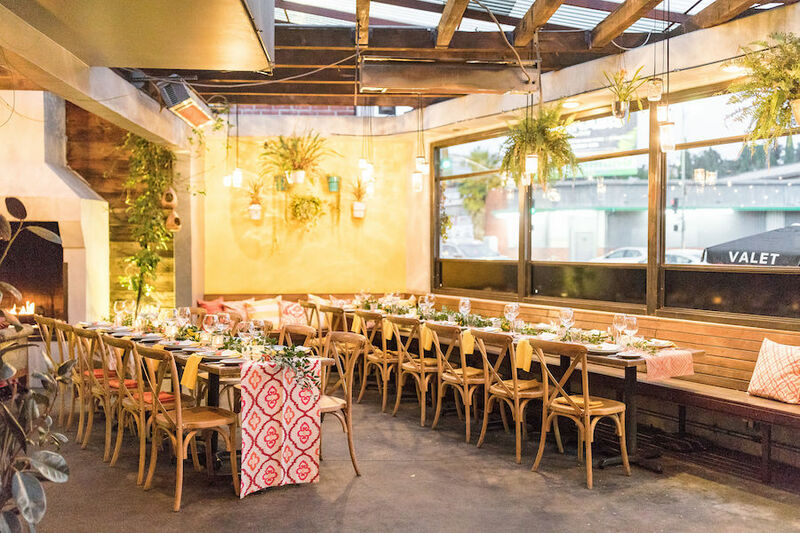 Two of our rustic wooden tables were placed parallel to each other on the patio space and topped with florals and colorful decor that perfectly complemented the signature yellow wall that served as the backdrop. 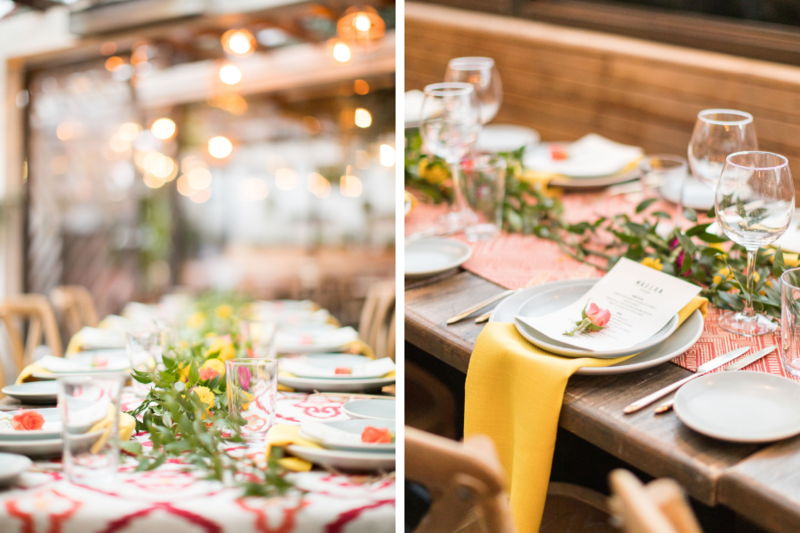 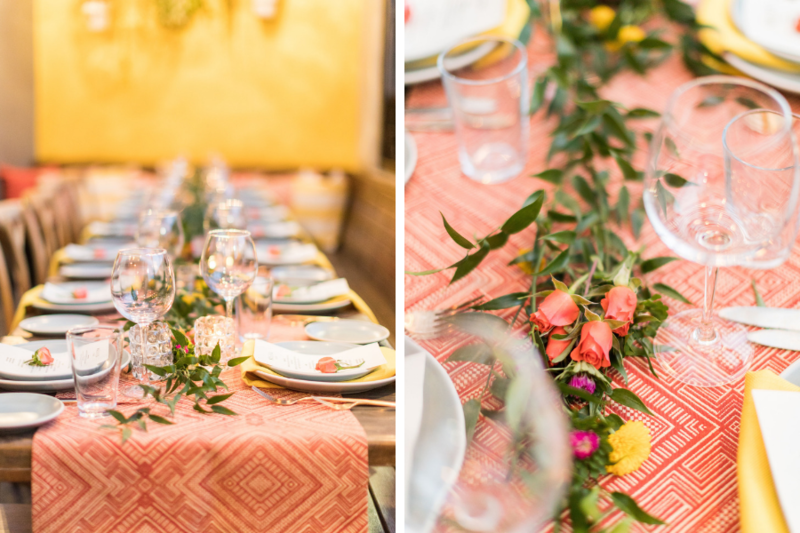 A colorfully patterned linen runner by Luxe Linen spanned the center of the tables and was topped by leafy green garland with coral and yellow hued blooms dispersed throughout. 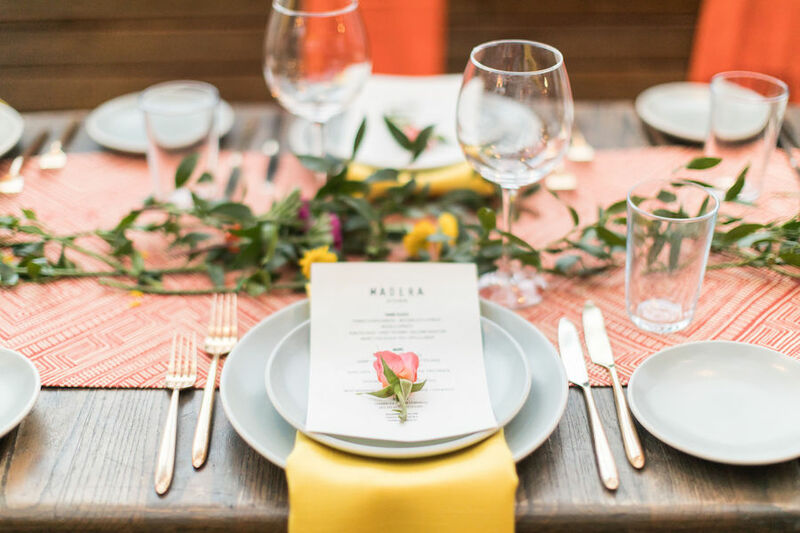 Each place setting featured Premiere Party Rents’s beautiful grey china and gold flatware which was completed with a printed menu detailing all that guests could expect to enjoy for the evening. 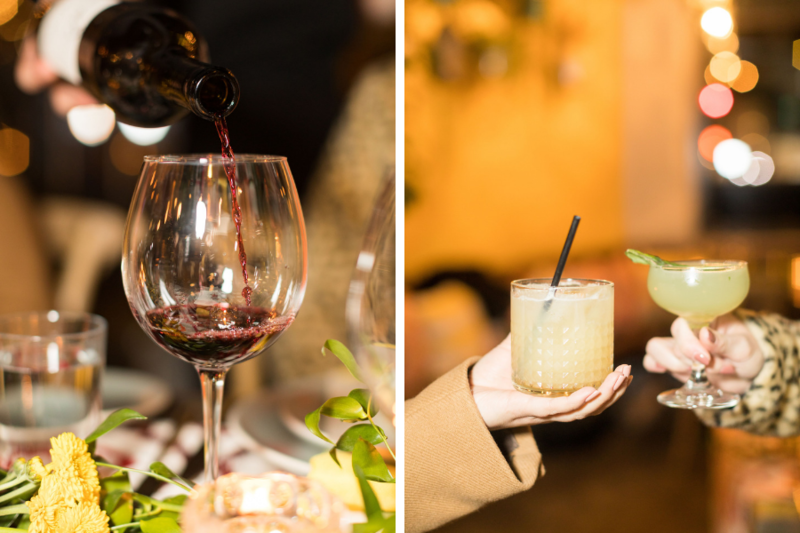 Thank you to all who joined us and to our incredible sponsors who helped us create a special evening. 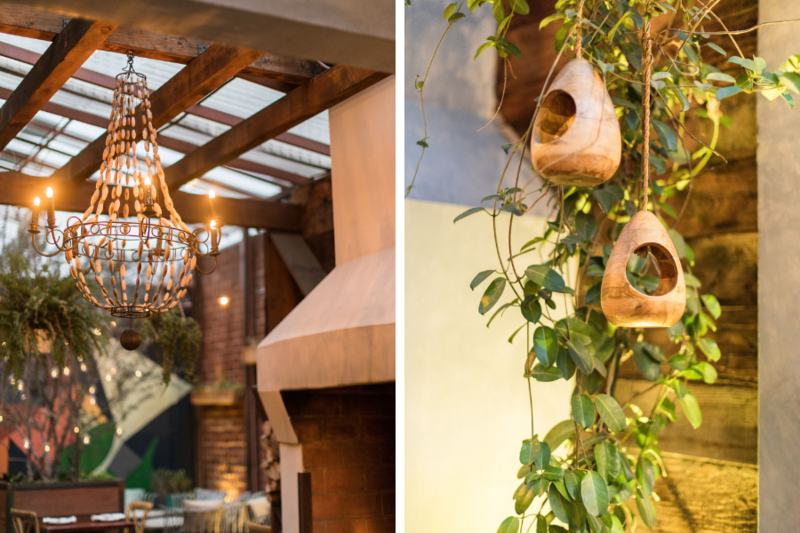 A special thank you to Katrina Jayne Photography for the incredible images!